If you’ve ever used an app like Find my Friends, you’ll be familiar with the peace of mind that GPS updates can bring. With advances in GPS technology, you can now keep track of your feline friend in the same way: enter the cat GPS tracker. According to a survey by the American Kennel Club, around 15% of pet owners have lost track of their furry friend in the past five years. With this statistic in mind, knowing your pet’s location becomes incredibly important. If your outdoor cat likes to roam far and wide, a compact GPS tracker could be the perfect solution. These handy devices are usually attached to your cat’s collar, and allow owners to keep an eye on their pet’s location via a smartphone or other device. To help you find the best cat GPS for you and your feline friend, we’ve compiled this handy buying guide. Below, we run through the top 10 options on the market right now, before addressing some common questions and concerns about these useful safety devices. Kicking off our list is this ulta-lightweight cat tracker by Whistle. Easily attached to your pet’s collar, the device relies on advanced GPS and cellular technology to work out your cat’s location with pin-point accuracy. With the help of a specialised app, you’ll be able to see your pet’s location on your smartphone or tablet whenever they’re wearing the device. You’ll also be able to see where your pet has roamed over the last 24 hours. This particular tracker also includes a ‘Safe Space’ feature. This allows users to pre-program designated safe places, such as your home or a relative’s house. You’ll receive an automatic update when your cat enters or leaves one of these safe spaces. The device itself is compact and durable. The waterproof design can be attached to virtually any collar or harness. At under an ounce in weight, it won’t hold your pet back, either. The tracker runs on rechargeable, low-energy batteries, which last for around a week between charges. Tab Cat have also earned themselves a spot on our list, with their simple but effective cat tracking device. 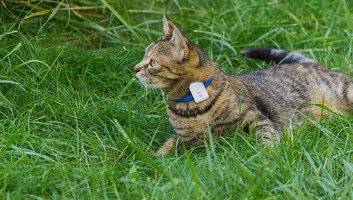 The tracker consists of two lightweight tags, which can be attached to your cat’s collar, and a compact hand set. When activated, the handset emits a series of sounds and color coded lights, which show you when you’re getting close to your cat. With a range of up to 400 feet, the tracker is ideal for tracking down your pet in a rural environment. The clever directional technology can pin-point your cat’s location to within one inch, making it even more effective than conventional GPS. Wherever your feline friend wanders, you can rest assured they won’t lose their tag. Its durable, splash-proof design can stand up to the challenge of every day wear and tear with ease. Both tags are powered by readily available CR2032 batteries, which can power your device for months at a time. 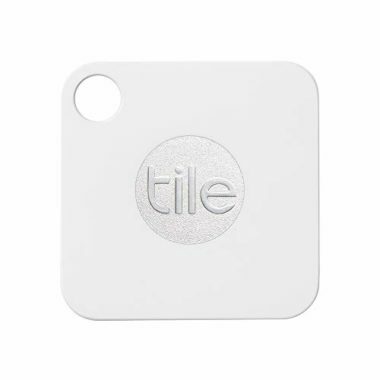 You may have already heard of Tile Mate - their products are a great way to find valuables such as your keys, phone, and wallet - but did you know you can also use Tile Mate to track down errant cats? This handy tracker comes in the form of a small tag, which can be attached to whatever you need to keep an eye on. 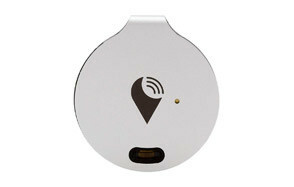 The tag communicates its last known location to your smartphone or tablet using Bluetooth, and displays this on an app. If the tile is within 100 feet, it can also play a loud tune until you find it - you might want to hold off on using this feature if your cat’s a little skittish, however! If your feline friend has left the area, you can activate the world’s largest lost-and-found community - other Tile Mate users. By activating this feature, everyone using the app within range of the missing tile (read: cat) can update its location to help you track it down. Each tile looks a lot like a pet ID tag, so it’s easy to pop it onto a collar using a split ring. With a battery life of 12 months, you can feel confident in letting your pet roam free for ages to come. The next item to earn a spot on our list is this GPS cat collar by Whistle. This award winning tracker relies on GPS technology and the USA’s largest wireless network to keep an eye on your pet’s movements. You can use a handy app to check on your cat’s location at any time - no matter how far they roam. The device is designed to fit snugly onto existing collars, without causing your pet any discomfort. It’s durable, waterproof, and rechargeable. You can choose to receive an alert when your cat leaves a designated safe area, or simply check in now and then using the Tagg app’s user-friendly interface. This clever tracker can also provide owners with some insight into their pet’s health and fitness. Its new activity tracker feature gathers data about your cat’s activity levels, and displays the results in an easy to read format. You can even set activity goals, and take charge of your cat’s exercise levels. Tractive have also found a place on our list, thanks to their lightweight and durable GPS system. 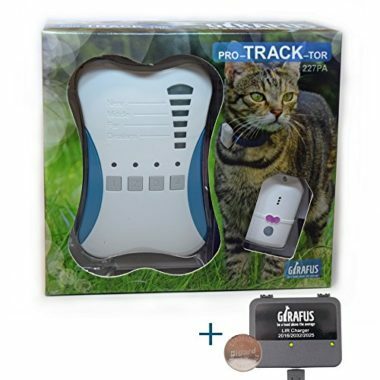 This real time GPS tracker lets you check your pet’s live location any time, anywhere, using an integrated smartphone app, or internet browser. The device is compact, and totally waterproof, so you can count on it working even in the rain. It can be easily attached to almost any collar or harness using the handy clip included. Tractive also offer a Safe Zone feature: you can set up a unique ‘safe zone’ for your pet, and receive an automatic alert whenever they leave or enter this area. This particular version is designed for use in Europe, using the T-mobile network. 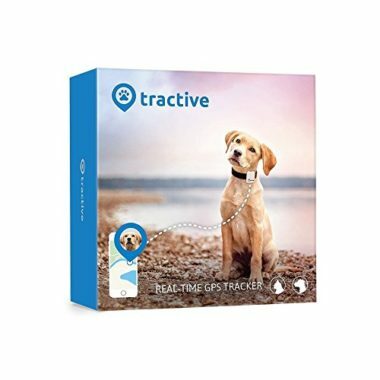 For US users, a world-wide option is also available via the Tractive website. 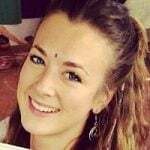 All Tractive products require a small monthly subscription fee to use, as they work via a SIM chip. The next cat tracker to find a spot on our list is this versatile device by TrackR. The slim, compact chip can be attached to anything you need to keep an eye on - your cat included! The tag-like design can be secured to your pet’s collar using a simple split ring. Thanks to its lightweight design, your feline friend will barely notice their new accessory. 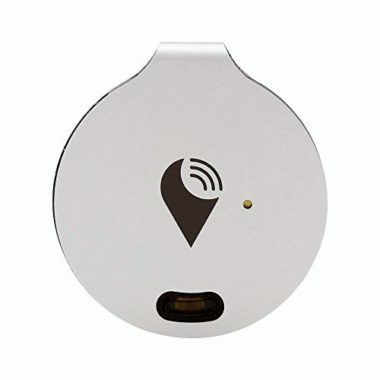 Once the chip is in place, you can use Bluetooth and the TrackR app to locate your pet via your smartphone or tablet. The app will display your cat’s last known location on a map, giving you a good head start in the task of tracking them down. If you think your pet is nearby, you can also activate a ringer via the TrackR app, and zero-in on their location using this sound. If your cat roams away from your phone’s Bluetooth range, other TrackR app users can help you to find them. Whenever a user comes within range of the tracking chip, its location is updated on the map displayed on your phone. These handy chips are available in silver and rose gold, giving you the chance to better match your kitty’s collar. Girafus have also impressed us, with their handy cat tracker. Rather than GPS, the device depends upon RF (radio frequency) technology to track down your beloved furball. It’s the perfect option for cats who tend to range close to home. 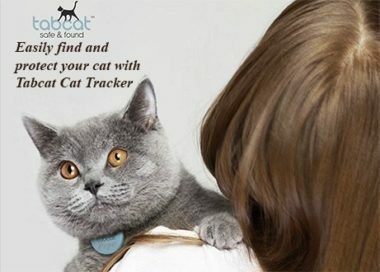 The tracker can locate your cat at a range of up to 1,600 feet, and locate them with impressive accuracy. In fact, this type of tracking is even more accurate than GPS - it can help you to pin-point your feline friend even in hard to reach spots, such as garages, neighbors’ homes, or in a bush. 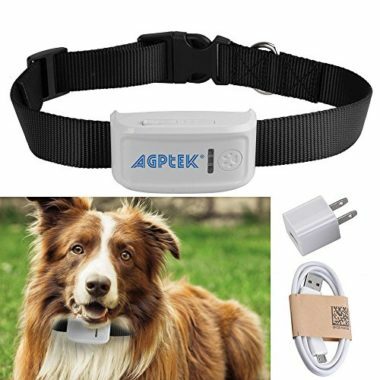 The device consists of a compact tag, which can be easily attached to your pet’s collar, and a hand set. By activating the handset, you’ll be able to receive audio-visual cues about how far away your pet is, and in which direction. This simple feedback method makes it easy to zero in on your kitty in no time. The tracking module is powered by easy to find AAA batteries, which last for 30 days at a time. This Bluetooth cat tracker by Pawscout has also earned itself a spot on our list. Designed to look and feel like a regular ID tag, this compact device can help keep your cat safe, without weighing them down. The handy tag communicates with your smartphone via Bluetooth, and automatically alerts you should your cat stray from the immediate area. If they fall out of range, your local Pawscout community comes into play. If another Pawscout user passes your cat, you’ll be updated immediately, allowing you to hone in on their location. With a range of 300 feet, your kitty won’t be limited to a small area of the garden - they can range a little way into the countryside or neighborhood without setting off a false alarm. With the unique Pawscout app, you can even make a profile for your cat, keeping their medical data in a safe place, and letting other users know about any conditions should they find them. 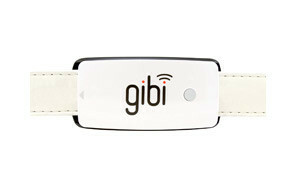 The next cat GPS chip to earn a spot on our list is by Gibi. 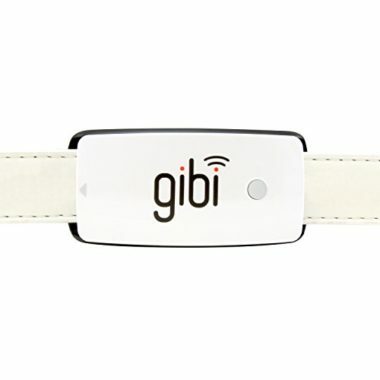 Houses inside a lightweight and comfortable collar, the tracker can help you keep an eye on your pet wherever they roam. The durable, waterproof tracker is suitable for cats and dogs alike, fastening comfortably around their neck just like a regular collar. The handy device provides anxious owners with live location data, letting you know where your feline friend is at all times. It’s the perfect option for cats who like to range far and wide, since it combines GPS and cellular technology to provide a limitless range. You can see your cat’s current location any time, anywhere, through an Android and OS compatible app. To help you hunt down errant pets, you can even share their current location with friends and family via Google Maps. Thanks to its long-lasting battery, you can continue to use the tracker for months at a time worry free. When the battery does run down, the device will let you know, so you can recharge it. Last, but not least, is this GPS tracker collar by Anysum. Suitable for both cats and dogs, this lightweight and versatile collar is the perfect way to keep an eye on your adventurous feline. With its powerful location monitoring service, the collar can quickly provide you with an accurate live location of your pet. 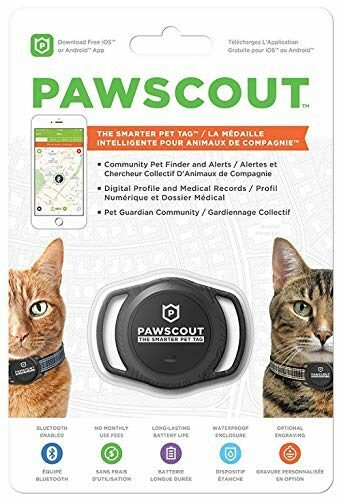 The device can be hooked up to your smartphone via an app, making it easy to see your pet’s location wherever they roam. If you need to pick up your pet, you can open their location using Google maps, and receive accurate directions in a matter of seconds. 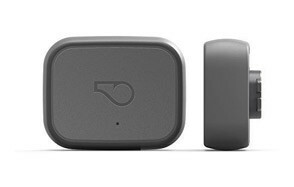 The tracker is waterproof, shock-proof, and durable. Its battery can last for weeks at a time between recharging. When it’s running low, and audible alert will let you know, so there’s no need to worry about timing. These 10 trackers are the best on the market right now, and we’re confident you’ll find the perfect option for your feline friend somewhere among the selection. To help you make an informed decision, and get the most out of your new tracker, we’ve put together this handy guide. Not all trackers have the same range – some can track your cat to 300 feet, others can find them almost anywhere in the world. If your cat doesn’t roam far, you probably don’t need a world-wide range. On the other hand, if your cat is very adventurous, a limitless tracker could be the best option. GPS – just like your car’s satnav, many cat trackers depend on GPS to work out a cat’s location. This type of technology works by satellite communication. RF – this acronym stands for radio frequency. This type of tracker works by detecting a highly specific radio signal emitted by a module worn by your cat at al times. Cellular networks – the most wide-reaching trackers depend on large cellular networks to find your cat. This is the same type of signal used by your cell phone. 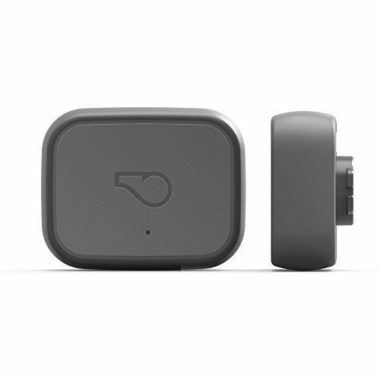 Bluetooth – this type of tracker can be connected to your smartphone via Bluetooth. They don’t tend to have a very large range, but will usually send you an alert when your cat exits this Bluetooth enabled zone. RF trackers tend to be more effective in smaller spaces, while making use of cellular networks is best for large areas. Smartphone app – many modern trackers communicate your cat’s location via an app you can download on your smartphone or tablet. Hand held – other cat trackers include a handset that uses audio visual cues to help you locate your cat gradually – much like a game of ‘hot or cold’. When selecting your cat’s tracker, it’s a good idea to look out for an option that is as durable as possible. 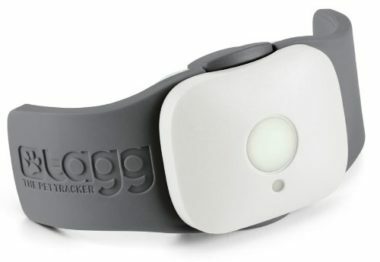 Check that the tracker is waterproof and made from a durable material. Q: What is a cat tracker? Some trackers allow you to view your cat’s live location on your smartphone, while others help you track them down via a handset that provides audio visual feedback, ‘hot or cold’ style. Q: How do cat tracking devices work? Q: How long do cat tracker batteries last? A: How long the battery in a tracker lasts can vary greatly. Some batteries last for a week, others for a month, and some for a whole year. If in doubt, check with the manufacturer. Cat trackers utilise both rechargeable and replaceable batteries. For us, the best cat GPS tracker on the market right now has to be this lightweight and versatile option by Whistle. The handy device can be attached to virtually any collar or harness, and allows you to see your pet’s location with pinpoint accuracy through a specially designed app. You’ll also be able to see where your pet has roamed in the last 24 hours, and receive an alert whenever they enter or leave a pre-programed safe space. Because the tracker depends upon cellular technology, you’ll need to pay a small subscription to use it – just as you would with a cellphone. With a waterproof design and impressive battery life, you can rest assured this rugged tracker is built to last. Owners say the tracker is one of the most accurate options on the market right now, and love the unique extra features it offers.